The National Human Rights Commission (NHRC) has taken suo motu cognizance of reports that eight under trial prisoners, allegedly belonging to the banned Students Islamic Movement of India, (SIMI), who escaped from the Bhopal Central Jail, were killed in an encounter with police in Bhopal, Madhya Pradesh on October 31. The Commission has issued notices to the Chief Secretary, Director General of Police and the DG & IG, Prisons, Government of Madhya Pradesh, calling for detailed reports in the matter within six weeks. The Commission has observed that it has always been concerned about the deaths in police and judicial custody as well as in police action. Specific guidelines have also been issued by it, which have been conveyed to all the States/UTs for compliance in the matters of encounter. The Commission observed in its press release: “Reportedly, the under trial prisoners escaped the jail after killing a guard. Three of these under trial prisoners had escaped from the Khandwa jail three years back and were nabbed again in the State of Odisha, this year. The under trial were charged under various crimes including murder, sedition, jail break and bank robberies. Meanwhile, civil society organisations have also sought probe into the incident. Swaraj Abhiyan, in a press release, has said, the incident has left many questions unanswered. “While the Bhopal IG said that the operatives were killed in retaliatory firing, the state’s ATS chief told TV channels that they were unarmed. Video recordings of the “encounter” released on TV channels also add to this confusion. Swaraj Abhiyan has demanded that a Court- monitored time bound independent probe be ordered into the circumstances leading to and officials responsible for the jailbreak as well as the veracity and the necessity of the encounter be shared with the nation at the earliest. The Jamia Teachers’ Solidarity Association, in a press release, has urged the Madhya Pradesh police to demonstrate that the killing was a proportionate and justified response in face of murderous violence. 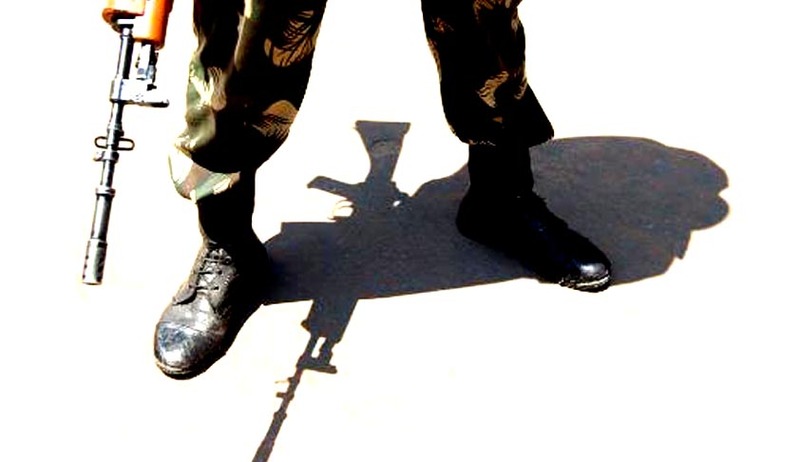 An appeal against the Andhra Pradesh high court’s 2009 judgment making it mandatory to file FIR against the police in encounter deaths, is pending in the Supreme Court, which has stayed the judgment. The appeal, M/s A.P.Police Officers Association v A.P.Civil Liberties Committee & Ors [SLP (CIVIL) 5933/2009), was last heard in part on April 22 this year.